th together. It's often seen that it will later be replaced by alcohol as the drink of choice in social settings, but Coca-Cola has a carefree feel to it that is often accompanied by youth. So I wanted to have a little playfulness to the piece. to ease the character in at the end. The sounds throughout the piece show no indication of the audience being in with the crowd. After the belch, a few people from the "crowd" finally take notice and give off some laughter. It ends with a can being crushed and just tossed aside. Throughout the piece, the audience has to deal with just drinking the soda while not being a part of the crowd. 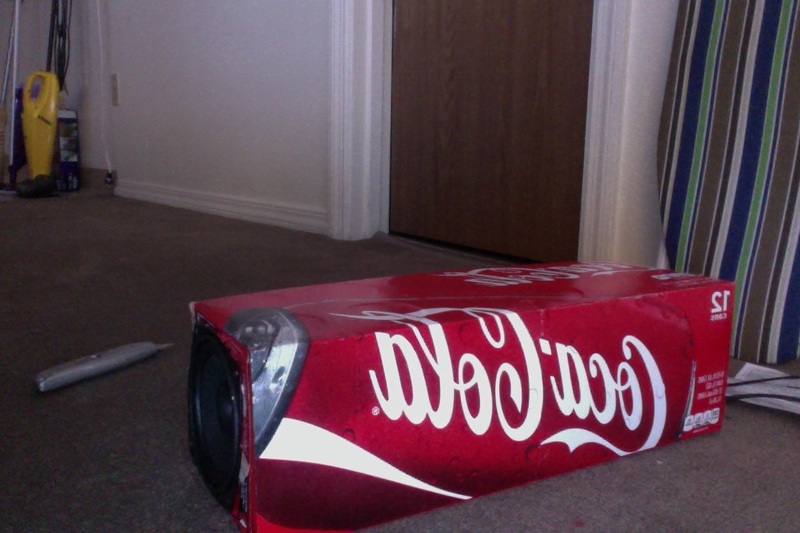 As the can is being tossed at the end, it is in hopes that the character is no longer not a part of the crowd. audible at all with the static from the mic. That caused me to change my concept to the one I have now with the social aspects. 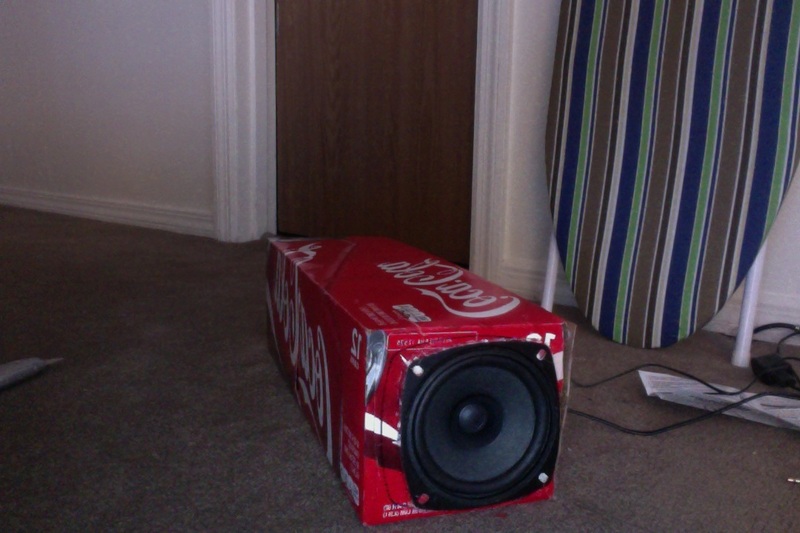 The creation of the body to hold the speakers wasn't as difficult. The only problems were that the box still looked empty. I fixed that with more reinforcements out of foam core.